This paper considers the vehicle routing problem with multiple time windows. It introduces a general framework for three evolutionary heuristics that use three global multi-start strategies: ruin and recreate, genetic cross-over of best parents, and random restart. The proposed heuristics make use of information extracted from routes to guide customized data-driven local search operators. 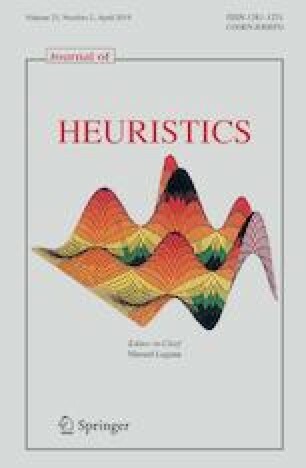 The paper reports comparative computational results for the three heuristics on benchmark instances and identifies the best one. It also shows more than 16% of average cost improvement over current practice on a set of real-life instances, with some solution costs improved by more than 30%. This work was partly funded by the Canadian Natural Sciences and Engineering Research Council under Grant 2015-06189. This support is gratefully acknowledged. Thanks are due to the referees for their valuable comments.